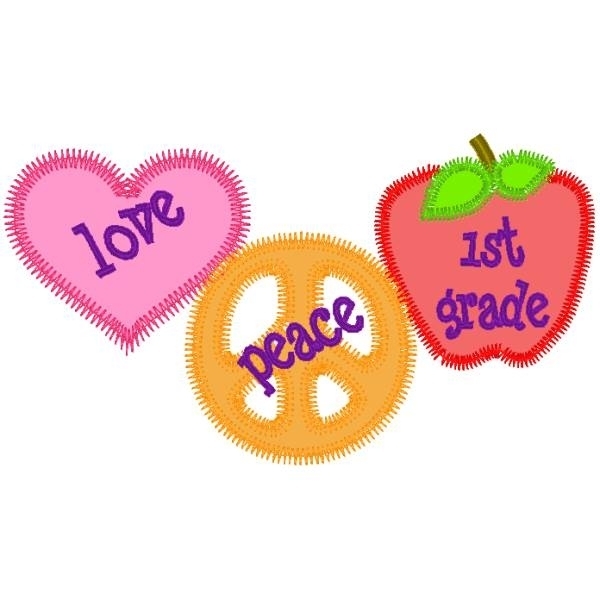 Love, Peace, 1st Grade Applique - 3 Sizes! Such a fun design. Please stabilize well. Includes 4x4, 5x7 and 6x10 sizes. This design features a loose weave outline to promote fraying. Gingerbread Applique Set - 3 Sizes! My First Hunt Applique - 3 Sizes! Finish Size 3 (11/16)" x 2 (1/16)"
Finish Size 6 (3/4)" x 3 (3/4)"
Finish Size 9 (7/8)" x 5 (1/2)"